Physical characteristics: The largest of the seventeen species, the emperor penguin, measures 39.4 to 51.2 inches (100 to 130 centimeters) in height. The male weighs 48.3 to 88 pounds (21.9 to 40 kilograms), while the female weighs 44.5 to 70.5 pounds (20.2 to 32 kilograms). The head, chin, and throat are black and there are bright yellow patches on the ears. The upper bill is black, the lower bill is pink, orange, or light purple. Geographic range: Antarctica and nearby islands. 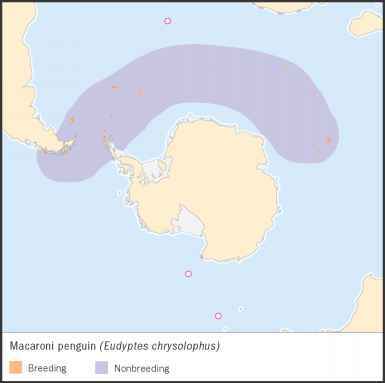 The emperor is the only penguin that stays on the Antarctic continent year-round. Habitat: Emperor penguins live in the frigid Antarctic waters and breed on sea ice sheltered by ice cliffs. Diet: These birds eat small fish and crustaceans such as shrimp. Emperors are the deepest divers, and one researcher reported a dive that reached 1,755 feet (535 meters). The longest dive time on record is eighteen minutes. This species can spend sixty to seventy days at sea at one time, searching for food. 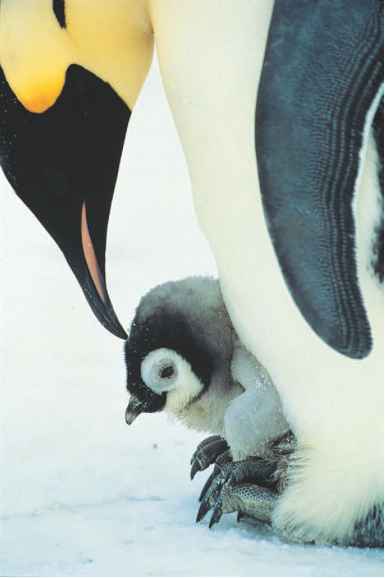 Behavior and reproduction: Emperor penguins breed in colonies. The female lays her egg and takes off to feed at sea. The egg is balanced on the father's feet, where he will protect it with his brood pouch for about sixty-five days. He withstands blizzards and icy temperatures for over two months and eats nothing the entire time. Mothers return soon after the chicks hatch and parents take turns feeding and caring for the babies. 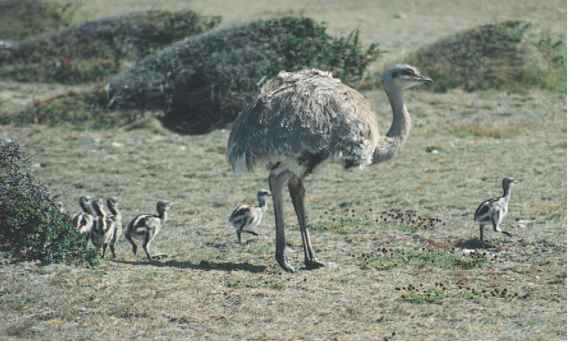 Chicks leave the colonies at around five months of age. Emperor penguins and people: When people think of penguins, it's usually the image of an emperor penguin that comes to mind. These birds are great attractions for the ecotourism industry (tourism that tries not to impact the environment while supporting local human populations).